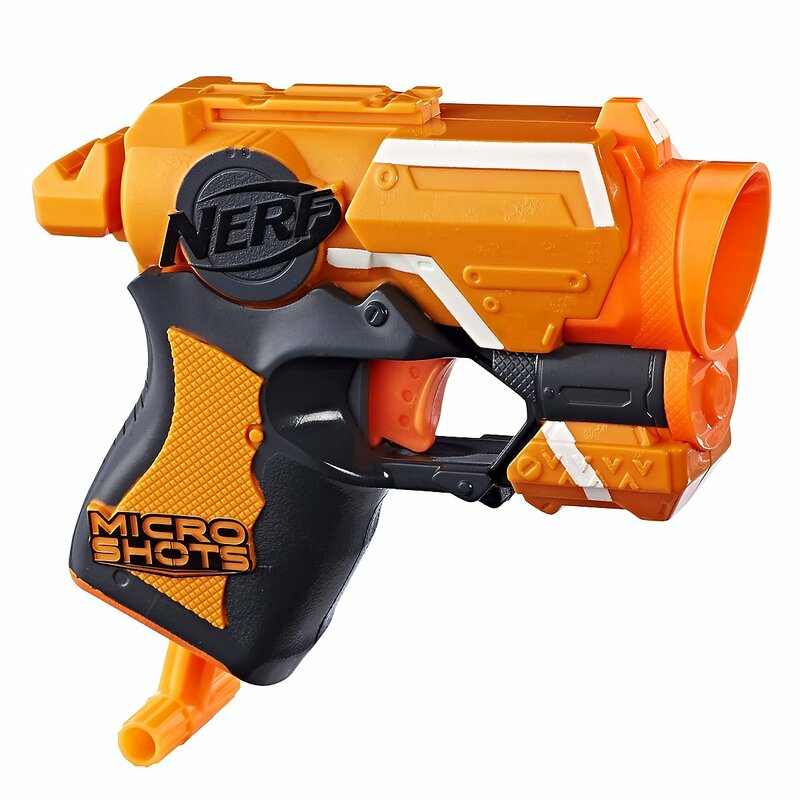 The classic from the N-Strike Elite series as mini version! 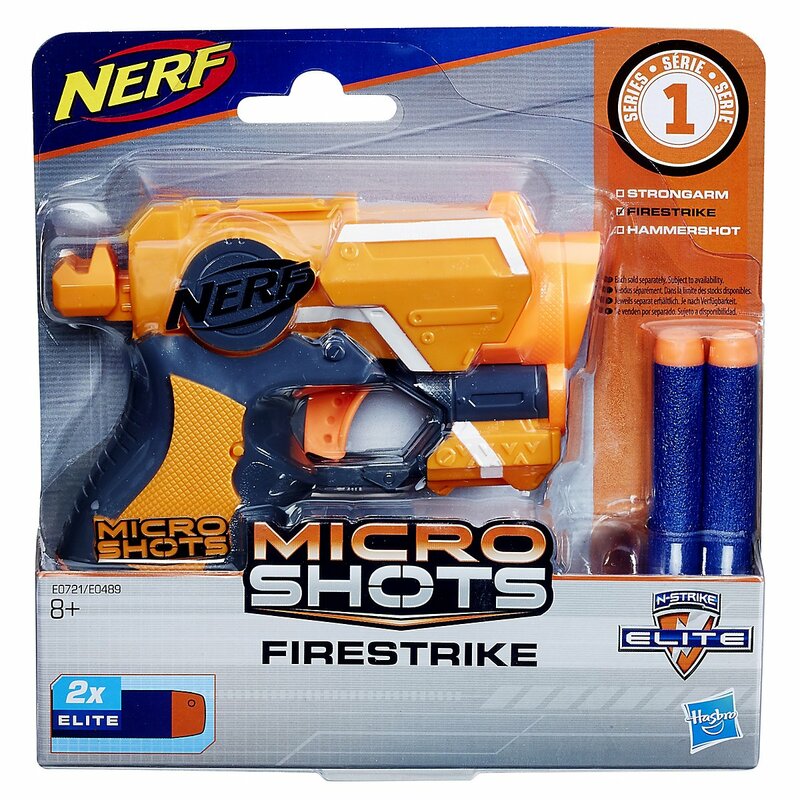 The Nerf Firestrike here is part of the MicroShot series, in which Hasbro releases copies of a classic blaster as a mini version. The little sister for collectors! Now everyone can carry the Firestrike with them all the time thanks to the miniature size. For office battles the small Firestrike can be pulled out of any drawer! This version fits into every loophole. The best way is to carry two small Firestrikes at the same time. Smaller is simply more handy! The design hasn't changed at all - everything has just shrunk a bit.